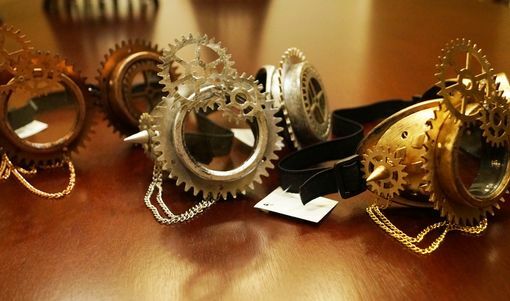 Steampunk gear goggles are accented with spikes, gears, and chains. Goggles have glass lens. Available in 3 colors.